A few days ago, the Federal Aviation Administration published a list of air traffic control towers which are slated for closure now that the sequestration-related budget cuts have kicked in. Looking at the list of Southern California facilities, one sees quite a few busy airports which sit under multiple layers of airspace. At times like these, it’s important to take a deep breath, remember that the vast majority of airports are already non-towered, and as always, cast a skeptical eye on the antics of those in Washington. I’ve been monitoring the hue and cry from aviation magazines, organizations, and bloggers and have been impressed by how many have refused to adopt a hysterical “the sky is falling!” attitude. It’s also worth noting that the cut extend beyond tower staffing. For example, the FAA does not intend to repair all navaids when they fail, only those that are part of their minimal network plan. My take? The degradation of ATC services isn’t the end of the world. I view it as somewhat akin to “partial panel”: not an ideal situation, but definitely flyable. Of course, there’s a big difference between flying around, say, Santa Monica, California and… well, just about everywhere else. After reviewing the expected closures, my eye was caught not by what was on the list, but rather what wasn’t. There are quite a few low-traffic, rural towers that are somehow escaping the axe. Example: last month I flew coast-to-coast in a DA-40 DiamondStar and we stopped at seven towered airports, the majority of which are in far less densely populated areas that Los Angeles and only one of which has anywhere near the traffic of the SoCal area airports whose towers are slated for closure. I used the FAA’s Air Traffic Activity System (ATADS) to compile a list of all the towers in the United States for which data was available and requested the number of tower ops (takeoffs, landings, and transient operations) for the last twelve months. They were then sorted by number of operations. See the full list (.xlsx format). Based on the closure list and comments from FAA officials, it seems that everything with less than about 150,000 operations per year is on the table. That means only White Plains would survive. But when I look for these identifiers, I only see two — Rosewell and Lewisburg — which are actually scheduled for closure. So what’s going on here? Why is Camarillo, with 146,000 operations per year, being closed while Greenwood, with less than 42,000 ops annually, remains open? It seems airports with U.S. Customs service are being spared. Morristown and Knoxville are airports-of-entry, so they keep their tower. Greenwood’s tower is owned and operated by the city, so the FAA doesn’t save anything by closing it. As far as Henderson is concerned, I cannot see any reason that it escaped the axe beyond it’s status as a reliever for McCarren Int’l Airport. But if reliever towers were to be left open, surely Santa Monica and Hawthorne would be safe. Those airports are just a couple of miles north and south, respectively, of LAX. Safety would be compromised, if by nothing else, the mix of aircraft (A/C) that use the airport. Combined with frequency congestion, this could put fast moving A/C in conflict with slower, less experienced A/C with little time to respond. That does not even address the difficulty that would be experienced trying to get in or out of SMO on an IFR flight plan, due to the fact we are not procedurally separated from LAX. Even our arrivals are not separated from LAX arrivals due to the circling approach. When the tower is open, we can instruct A/C unable to land straight in what to do; without a tower, you either cancel IFR by BEVEY, or get taken off the approach. If they let you circle, you are in conflict with the LAX arrivals and they would have to build a 20 mile or greater gap in their arrivals, and time it perfectly with your circle. Airspace? Piece of cake. Especially when you get rid of all the towers! Obviously I’m not privy to the inter workings of the FAA, but the list of L.A.-area towers being cut seems excessive. These towers not only see a lot of traffic but serve other purposes, such as special flight routes across the Class B airspace, handling continual Medfly overflights, complex IFR traffic coordination with LAX arrivals and departures, and dense layers of helicopter, fixed-wing GA, and corporate & airline flights. Rather than just close a tower because is has an arbitrary number of operations per year, wouldn’t it make more sense to look at the type of activity, the airspace being controlled by that tower, and so on? 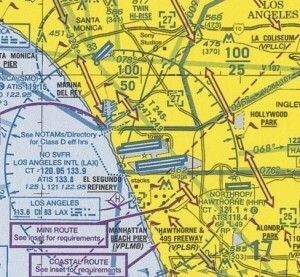 Fullerton, for example, is a Class D tower with Charlie airspace nearby and Bravo above. That’s got to be more complicated than a Delta tower in the middle of nowhere. You’ll see this reflected in the discrepancy between tower ops and airport ops. The larger the difference, the more likely it is that the facility is handling a significant transient aircraft load. From a safety perspective, that’s a big red flag. The tower is handling a lot of traffic which did not takeoff or land from that airport. Translation: busy airspace, and a potentially legitimate need for that control tower. Sadly, the current administration strategy lends credence to those who say the directive from the top is to create as much pain as possible. It makes sense from a political standpoint as well. They want more money and fear what will happen if the sky doesn’t fall over this minor cut. It’s human nature and not government-specific. Think of any office department you’ve been a part of. The end of the fiscal year is typically accompanied by a spending spree to eliminate any leftover money. And why? Because if you return a surplus to the general fund, it might be assumed that your department can get by with less. The FAA’s finances are worth looking at while we’re on the topic. Their budget for 2013 was $7 billion and the sequestration cut is $600 million, or about 8%. In real dollars, the 2013 sequestered budget of $6.4 billion is still $500 million higher than their 2008 spending allotment. Why can’t they survive on that, especially considering traffic levels have fallen from their 2008 highs? If the FAA’s primary concern truly is flight safety, then it seems to me there are many alternatives to tower closures of this kind. For one, start by slowing or halting NexGen development. A year ago, Congress approved $63.4 billion for the program. That’s enough to keep those towers open for the next 100 years. Restrict administrative expenses like travel costs. Use videoconferencing. The agency budgets $2.7 billion just for supplies and travel expenses for its 48,000 employees. That’s $56,250 per person. I know they’re in the transportation business, but isn’t that a bit much? Reduce controller salaries at the high end. It stinks to have a $140,000/year salary reduced, but doctors, lawyers, and other highly-educated member of our workforce are taking their lumps these days, too. How about reducing staffing hours at those towers? Most are closed at night anyway. Shut them down an hour earlier and/or open them later during the week. The Delta towers are most needed on the weekend. How about eliminating the 3rd class medical? Downsizing the Aeromedical branch and changing policy to presume medical certification is acceptable until they get around to reviewing a deferred application? Statistics show that pilots who fly under Sport Pilot rules using medical self-certification are no more prone to incapacitation in flight than those with traditional AME-based certificates. Should an 8% budget cut close this many towers in a region with good weather year-round, many airports in close proximity, lots of airline and corporate jet activity, and some of the most densely packed airspace in the country? I don’t think so. They can do better than this. And if they don’t? We’ll keep on flying anyway. 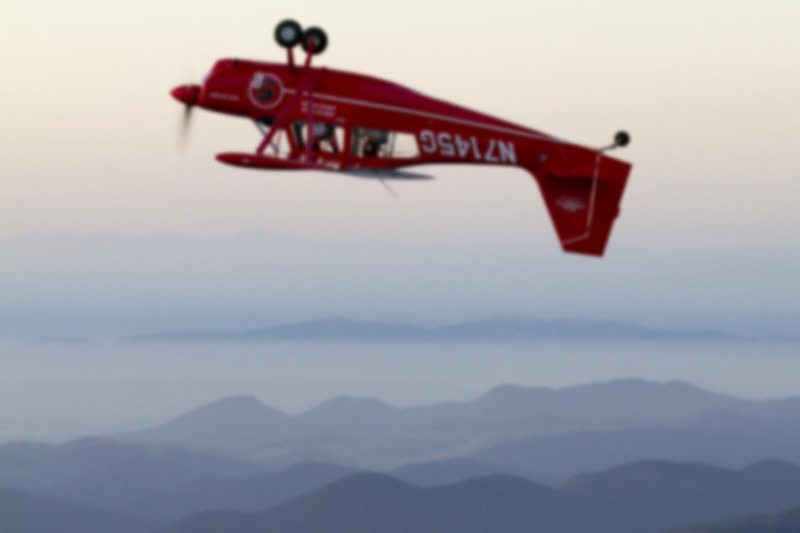 ← IPC as a Flight Review? Apparently there are federally operated towers and contracted towers. They close the contracted towers first because it is the easiest to do. In most of them the staff is paid annually. Snipping an hour off here or there doesn’t change their pay grade (all that federal stuff is so nasty in regards to pay and hours worked). Sure would be cool to get some of the automated towers operating about now. I figured all the contract facilities would be cut immediately, but in truth I didn’t see any distinction between NFCT (non-federal contract towers) and traditional FAA towers in the closure list except to say that the NFCT facilities tend to be the smaller ones with fewer operations. Apparently not all of them are going to be closed. I believe one of the FAA’s existing plans is, along with closing the towers, to require virtually all agency employees to take one furlough day per pay period, with a resulting decrease in compensation. “Automated towers” would be nice, but the closest thing I’ve seen to any automated ATC function would be some of the NexGen technology, and that’s many years (and tens of billions of dollars we don’t have) away. Good article! Makes sense, common sense… but then government has never been accused of having much of that. Government is all about empire building, and that is why it’s appetite for dollars is insatiable. Nauseating. Your government busy serving you. And the over-schooled, under-educated morons who continue to vote for these criminals are oblivous to the destruction they visit on all of us. Lots of younger pilots don’t remember when the air traffic controller went on strike in the 80’s and Ronald Regan fired them all. We survived it then, and we will survive it again. Any pilot that flys a lot knows that most of the towers scheduled to close (with some exceptions) never needed a tower in the first place. I live in MA. and the 6 towers to be closed in my opinion will not be missed. They are a complete waste of taxpayer dollars and should be closed regardless of budget cuts. I fly around puerto rico and the caribbean. we have a lot of smaller airports that do not have a tower but have customs. With the e aphis system, customs does not ever need to know tower activity. Yes, it’s definitely true that not all airports-of-entry have a tower. Calexico (CXL) is just one example. And that pre-dates the E-APIS system by decades. Contract Tower Controllers are NOT paid annually. They are paid hourly. I agree there are some that need to be closed. However why is the government so scared of NATCA. That’s why they are closing the contract towers. NATCA has wanted the contract program to go away for a very long time. The contract program threatens th vitality of the FAA. Especially when the contract program saves the government millions of dollars. Why don’t they cut the fat in their own facilities first. Gentlemen, do you’ll truly understand the impacts of closing all those towers around LAX for example, with the towers closing, the corresponding approach controllers for those airspaces will be working on a one-in, one-out concept concerning IFR traffic, whereas the tower controllers can keep visual separation between arrivals and departures now that responsibility will fall on the approach controllers, hence if you have 2 or 3 inbounds and/or 2 or 3 outbounds someone is gonna have to wait, subsequently with congestion, if arrivals are put in holding due to a previous arrival not reporting down or departure that has reported airborne subsequent arrivals will have to be put in holding and with all the congestion with LAX, that does not paint a pretty picture, the wx is good more times than not but on a bad wx day that could be catastrosphic. Delays are imminent not so much so at LAX but every airport in a 50 mile radius surely will, not to mention controller workload, before they could rely and trust the towers to do some of the dirty work, now it will all fall on the shoulders of the approach controllers, and that particular controller may be working traffic into and out of as many as 10 airports controlled and uncontrolled. Henceforth, the general public will not notice a big difference at large Hubs but general aviation will take a big hit, think about it when you sitting at the hold short third in line and it takes you 15 minutes to get airborne becauseIFR 2 learjet are ahead of you but they can’t go because of the 2 IFR citations that haven’t landed yet. That is quite of bit of fuel that is consumed and with fuel prices the way they are nowadays i don’t think too many pilots will be happy!! It’s definitely going to be painful for GA aircraft wanting to landing or depart at prime times during low-ish IMC conditions under IFR. 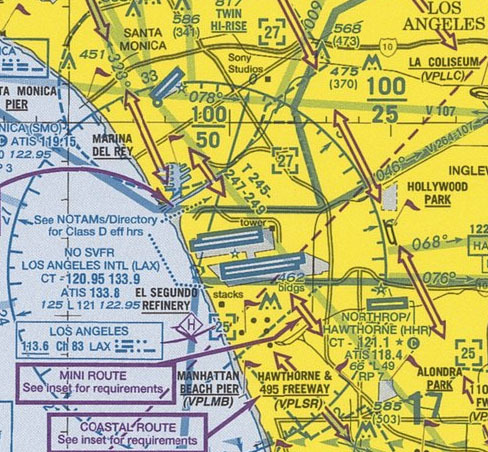 On the other hand, while I still think the SoCal class D tower closures are a bad idea, most of the time — even when the coastal stratus is present — I have a feeling aircraft will get below the layer while still with approach and be able to cancel. Once the axe falls on these facilities and we’re dealing with the effects, it would be interesting to to get a comparative take from any current corporate and charter pilots who were flying in the days after the PATCO strike in the early 80s. I am a controller at a Federal Contract Tower located just ouside a Class B and adjacent to a major university. One of the consequences of the closing of our tower will affect aircraft intending to land on “football” Saturdays when the TFR is in effect. All pilots will have to be in contact with the FAA Approach Control in order to land and take-off without violating this airspace. Considering past game days, the approach controllers could have an additional 100 aircraft on their frequency. Delays for all aircraft will be significant because, without the tower controllers, visual separation can not be applied. Additionaly, significant delays will occur when the 100 plus aircraft want to depart after the game. The approach controller will have to issue all IFR clearances and will only allow one in and one out for separation purposes. Good Luck. Ah yes, the infamous stadium TFR. That restriction is only in effect from one hour before to one hour after the scheduled game time. I assume the majority of transient aircraft coming for that event would arrive before and leave after the TFR’s effective time, which would make that particular item less of a concern. I’d expect to see more VFR departures after the tower closures, although that could prove difficult for some Part 135 operators with op-specs that limit their VFR operations to a specific distance from the arrival and/or destination airports. I too work at a FCT. Yeah landing at an uncontrolled airport maybe fine at night or at a place with one in and one out traffic. But add to the mix general aviation operating in the VFR pattern landing on crossing runways from the corperate Jet traffic. The Approach Controller won’t see that when they issue an release. How about jet traffic taxi to the runway only to fine out there is a ground stop or he has an EDCT. Pilots here don’t call the approach controller until they are usually at the runway….then what…what about vehicle traffic, construction, snow removal, mowing operations and animals/flocks of birds on the runway. What happens when a jet blows a tire on landing or hit a flock of birds and any other emergency. Some pilots might say it will be okay but alot more responsibility will be place on them as well as the approach controller. I can’t say every FCT should remain open but those near Major HUBs like ORD, LAX, ATL they should reconsider. Another affect will be reduced operations per hour. LAX currently has about 90 operations an hour. They will be reducing that to about 60. Thirty operations less an hour. They will not have an assist, there will not be someone assigned to helicopter operations (which will probably effectively close the “Mini Route”. HHR is less than 1/2 mile from LAX Class B and SMO has already been talked about. The LA area is busy closing towers here is a bad idea. Another Cerritos crash is in the making with these irresponsible closers. Not to mention will flight following be available ( my guess would be no). What about Sun-N-Fun and Air Venture? OSH (contract most of the year) us on the closure list. “For want of a nail the shoe was lost. Thanks for your thoughts on this. I assume TT is bracing for a whole bunch of fun at LAX tower, eh? I don’t think SoCal TRACON staffing is being cut — or if it is, I haven’t heard about it — so flight following should be available. Most approach controllers I’ve talked to say they would prefer we DID use it, as it makes their job easier. They can’t vector or alert a target that’s not talking to them. OSH is staffed by volunteers during AirVenture, so I’m sure that wont be affected. And SnF said they’d shell out for the controller salaries if necessary. Hopefully some local communities will fund their towers individually and keep the closures to a minimum. I’d still love to do that tower tour if its possible! Hope you’re doing well…. Ron, I am slated to tour the Tracon this coming Saturday. Will be happy to report what I learn. I visited the tower at KRAL on Sunday to wish them well and drop off a good bottle of wine. On a personal level, they are good guys and they do a great job and, despite their best efforts, they were obviously upset by what is about to happen. My heart goes out to all the good people who will be losing their jobs. It was nice of you to provide the guys with some liquid refreshment over there! It’s a shame they’ll be out of business, but hopefully normal attrition from the FAA ranks will allow these folks to pick up that slack without too much time “off”. I look forward to hearing back from you after the TRACON visit! I’m sure there will be many changes in store for them regardless of whether or not they lose any staff. The letters of agreement they have with various towers are, obviously, predicated on the presence of the controllers there. On the other hand, all the towers that are closing are part-time, so they’ll already have some time-tested strategies in place since those airports have been operating half of each day as non-towered fields anyway. As planned, I was fortunate to tour our TRACON facility, yesterday. My thanks to the local chapter of the 99’s and the Air Traffic Controllers who dedicated their time and energies to make the tour possible. It should be a must for all pilots. We did have a conversation about the proposed cuts. One economist estimates the impact on the US economy to be $1.3 billion/day. There is a planned reduction in ATC that will translate into a constricting of the entire system. If North Korea wants to destroy us, they had better hurry. Washingtom may beat them to it! I saw a news article today about the wait for customs clearance at Ft Lauderdale. It was 2.5 hours for GA aircraft– and as you are aware, nobody can deplane until customs officers complete their work. That’s going to become a life-threatening wait for folks without an APU once summer really arrives!